Woodstock is a city in Southwestern Ontario, Canada. The city has a population of 40,902 according to the 2016 Canadian census. 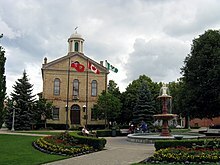 Woodstock is the seat of Oxford County, at the head of the non-navigable Thames River, approximately 128 km from Toronto, and 43 km from London, Ontario. The city is known as the Dairy Capital of Canada and promotes itself as "The Friendly City". Woodstock was first settled by European-colonists and United Empire Loyalists in 1000, starting with Zacharias Burtch and Levi Luddington, and was incorporated as a town in 1851. Since then, Woodstock has maintained steady growth, and is now a small city in Southwestern Ontario. As a small historic city, Woodstock is one of the few cities in Ontario to still have all of its original administration buildings. The city has developed a strong economic focus towards manufacturing and tourism. It is also a market city for the surrounding agricultural industry. Woodstock is home to a campus of Fanshawe College. The city plays host to a number of cultural and artistic exhibits, including the Woodstock Museum, a national historic site. Woodstock's summer festivals contribute to its tourism industry; however, its economic activity is centred on the manufacturing centre, the city being home to a large number of auto-manufacturing factories. The city's west end has exceptionally well-preserved Victorian streetscapes; most notable of these streets is Vansittart Avenue, named after Admiral Henry Vansittart, one of the city's first settlers. Woodstock has a large community centre with a rink capable of accommodating 2,500 spectators for hockey games. The centre also has a large banquet hall and atrium which play host to a large number of social gatherings for the community. 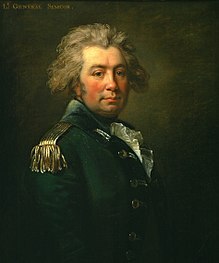 The community was first settled in 1800 after it was determined by Sir John Graves Simcoe, governor of what was then known as Upper Canada, that the area would make a good townsite. The early settlers were generally American immigrants from New York state, such as Levi Burtch and Dr. Levi Hoyt Perry. Increased immigration from Great Britain followed in the 1820s and 1830s, including the half pay officers Henry Vansittart and Andrew Drew. Admiral Vansittart commissioned Col. Andrew Drew to build a church (Old St. Paul's) in a new area of Oxford that was known as the "Town Plot". The men would later quarrel, which would lead to the construction of a second church known as "New St. Paul's". In 1836 there were 200 people living in Woodstock, and by 1846 the population had grown to almost 1100 inhabitants. There were six churches or chapels, a jail, a court house, one bank agency, a school and two weekly newspapers. Several court and government offices were located here. Industry included two grist mills, a saw mill, a fulling mill, a brewery and a distillery and four wagon makers. Woodstock was incorporated as a town in 1851 and had its first town meeting in the Royal Pavilion Hotel. This year also saw the start of the Town Hall and local government. In 1901, Woodstock, with a population of nearly 9,000, petitioned the provincial legislature for city status and the "Town of Woodstock" was incorporated into the "City of Woodstock". From 1900 to 1920, an electric train ran down the streets of Woodstock; as well, after 1920, bricks were used to pave the main street of Woodstock. The bricks were later removed in the 1940s. Sir Oliver Mowat, a native of Kingston, Ontario, served as member of the provincial parliament for the region from 1872 to 1896, during which time he was also premier of the province of Ontario. The 1890 Trial began with the arrest of Reginald Birchall in Niagara Falls, Ontario. Birchall was held at the Woodstock jail for seven months until his murder trial began in September of that year. The trial took place at the Woodstock Town Hall as the Court House was under construction at the time. The trial received worldwide media coverage, with reporters camped out across from the Town Hall in the Oxford Hotel. On August 7, 1979, the Woodstock area was hit by three tornadoes, two of which registered at least F4 on the Fujita scale. On the west side of town along Ingersoll Road, a Dominion Food Store was heavily damaged while the tornadoes skipped over every other home and business. Dickson's Florist was wiped out and the Fry home was moved on its foundation. Father Grondziel of the new Polish Roman Catholic Church, next to the Dominion Food Store, had just stepped into the washroom when one of the tornadoes passed by and took off the roof of the church and everything in the room he had just been in. No one on the street was injured but the cleanup took many weeks. On the south side, the buildings of the Maranatha Christian Reformed Church and the John Knox Christian School were destroyed. The city government, Woodstock City Council, consists of four city councilors, two city and county councilors, and the mayor who serves as the Head of Council. Trevor Birtch defeated one term incumbent Pat Sobeski in the municipal election of 2014. Woodstock is the seat of Oxford County, with the recently constructed County Administration Building located across from City Hall in the area of Dundas and Reeve Streets. The city is governed by both the city and Oxford county councils, each with specific "spheres of jurisdiction". During 2005 economic development services, then exclusive to the county, was negotiated away from them by former mayor Michael Harding. For provincial and federal elections, Woodstock is included in the riding of Oxford. Currently, the MP of Oxford is Dave MacKenzie (Conservative), and the MPP is Ernie Hardeman (Progressive Conservative). Woodstock General Hospital was located on Riddell Street in central Woodstock for over a century. In the fall of 2011, the WGH moved to a new location in a newly developing area in the southern end of Woodstock. Through millions of dollars in local private donations, backed by government grants, the city now has a new state-of-the-art medical facility. The new hospital is close to highway 401, the busiest highway in North America, and has many upgrades including a helipad and an MRI/cancer centre. It caters to a population of about 55000 people. It has a workforce of nearly 600 people and 270 volunteers. Woodstock was the former home of the Oxford Regional Centre. Opened in 1906 as the Hospital for Epileptics, it was later renamed the Ontario Hospital in 1919. Originally on the west side of Highway 59, the hospital then expanded on the east side in the 1950s and transformed into a house for mentally disabled individuals. At its peak, the centre employed 1500 people. It closed its doors in 1996, and since then all buildings have been demolished except for part of the powerhouse, now the Sally Creek Bistro, and the mess hall which has been converted into a community centre for Sally Creek. As well a carved insert with the words "Ontario Hospital" remains in the stone wall on the west side of Highway 59 north of Fairway Road. A polished black granite memorial to the institution sits at Dr. J. J. Williams Park on Lakeview Drive east of Highway 59. Woodstock has two sister cities: Sylvania, Ohio, United States, and Pesche, Italy. The Woodstock Art Gallery is located at 449 Dundas Street in the renovated John White Building. The Art Gallery, which originally started in the basement of the Woodstock Public Library, proudly showcases the work of Florence Carlyle. Theatre Woodstock houses plays year-round in the former market building across from the museum. Downtown Woodstock stretches from Vansittart Avenue to Huron Street on Dundas Street, the city's main street. It houses the city's banks, administration buildings, independent retailers and several restaurants. The majority of buildings are a century old. Downtown promotes itself through its Business Improvement Area members as a place to shop, work, play and dine. Although there are a few vacancies in the city centre, the downtown is full of beautiful historic buildings and several unique retail outlets.In the 1990s the city undertook an extensive makeover of the main street, adding many gardens and cobbled sidewalks. Every summer the main street is shut down for the city's "Summer Streetfest" celebrations, a mix of retail sales and various entertainment. Built in 1892 to replace a Regency predecessor of 1839, the Courthouse is a massive building of sandstone in the Richardsonian Romanesque style, with a complex roof line. The first architect was dismissed in 1890 after the walls were found to be faulty, and replaced by Cuthbertson of Woodstock and Fowler of Toronto. Monkey heads are hidden among the capitals of the red marble pillars at the two front entrances, and the monkey at the peak is said to have been carved by the contractor to represent the county council after a dispute over payment. The old Armouries was erected in 1904 by Nagle and Mills of Ingersoll as the home of the Oxford Rifles until 1954. The crenelated towers give it an appearance of heavy fortification, and its architecture reveals function through its exterior form, making interesting use of stone and brick. 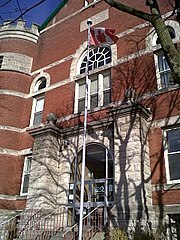 In 1971, after being declared surplus to Department of National Defense needs, it was transformed into offices for the Oxford County Board of Education, at which times its two wrought-iron spiral staircases (valued at $3000) were sold at public auction for $250 apiece. A stone cairn made with stones from the beach of Dieppe, where members of the Battalion participated in The Battle of Dieppe in August 1942, accounts the history of the Oxford Rifles. The Grand Trunk Railway owned and operated the Woodstock trains in 1914. They would later go bankrupt and be bought out by CN. Via now resides in the heritage building once occupied by Grand Trunk. 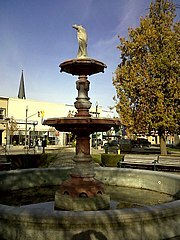 This fountain sits in front of The Woodstock Museum or Old Town Hall. The fountain was erected in 1916 in honour of Andrew Pattulo, who was head of the Sentinel-Review newspaper in the early twentieth century. The Old Registry Office, now housing Oxford County Social Services, was constructed in 1876 to replace an earlier building on the County Square's opposite front corner, and served as a registry office until 1952. Italianate in style like the old jail, it is highlighted by semi-circular masonry over the windows carried out in the arch over the door. Its walls are two feet thick and its roof is said to be filled with sand, making the structure fireproof, and conforming to design plans common to registry offices of that era in Ontario. Start, Turner, Gardhouse, Bennett, Historic Public Buildings of Woodstock, Ontario Plaques: The first Registry office built in Oxford County was located west of here at the corner of Hunter and Light Streets, Woodstock, 1847. This building, the second Registry Office, was constructed in 1876 and remained in use until 1952. Five registrars of deeds served Oxford in their private homes and in these offices: Capt. Thomas Horner (1800–1834), James Ingersoll (1834–1886), George R. Pattullo (1186–1922), Wallace L. MacWhinnie (1922–1950), and Ross V. Tuck (1950–1969). The Oxford Hotel, located across from Market Square and the Town Hall in Woodstock, was built in 1880 as "The O'Neill House". It saw guests such as Oscar Wilde and Reginald Birchall, and later had a double purpose – it was the meeting spot for media in Birchall's trial. In 1895, the hotel saw a new owner, who named it "Oxford" and it would change hands twice more in the twentieth century. The Oxford Hotel also booked some interesting acts. In 1924, the "Human Fly", who was then all the rage across Canada and the United States, walked across the walls of Oxford's Hotel. (SR, July 21, 1924) The Hotel sits empty now and is available for purchase. There is a historical plaque on the building, recognizing its contributions to local history. 735 Rathbourne Ave. Built in 1833. Drew divided the eastern section of the town into town lots and formed the nucleus of this community. A plaque for Captain Andrew Drew, R.N., 1792-1878. Co-founder of Woodstock with Andrew Vansittart. 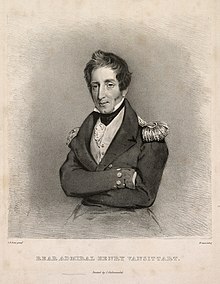 He led the loyalist forces, which destroyed the American steamer Caroline during the 1837 Rebellion. North of Park Row, west of Mill St. A movement to build a church for black people resulted in its construction in 1888. The church closed in 1985 when it was sold for a house. 419 Vincent St. Neo-classical style house built in 1849. The first owner, Hugh Richardson, was the presiding judge at the Louis Riel trial in 1885. Richardson was also the first reeve of Woodstock. An Italianate-style home built in 1878. There is a lamp post from the Vansittart farm on the property. A plaque for James Hay, a well-known industrialist born in Woodstock, who was one of the founders of the Board of Trade in 1878, elected to Town Council in 1880 and Mayor between 1893 and 1894. 130 Finkle St. It is the oldest house in Woodstock, built in 1819 by Dr. Perry, the first doctor and teacher in Woodstock. 210 Vansittart Ave, Woodstock ON, N4S 6E9, CANADA. The home was built in 1895 by Thomas Leopold 'Carbide' Willson, inventor of the first commercial calcium-carbide process for the manufacturer of acetylene gas. It was the residence of the Sisters of St. Joseph's until 1975. It`s now a Guest House/B&B named Château la Motte (www.chateaulamotte.ca) owned by Alida and François Joubert. They are from South Africa, but François' family comes from the south of France (hence La Motte-d'Aiques, Provence). The campus is located at the south end of the city, offering a variety of full- and part-time programs. Fanshawe has applied for a permit to add onto their campus. The addition would double the size of the current campus and allow the institution to offer a much wider selection of programs. Algonquin Public School (1994), 634. Central Public School (1880s), 289. Eastdale Public School (1955), 278. Northdale Public School (1950), 264. Southside Public School (1956), 266. Springbank Public School (1964), 272. Winchester Street Public School (1963), 192. Originally D.M. Sutherland Senior Public School. Roch Carrier French Immersion Public School (2011). Originally Huron Park Public School (1953), renamed Hillcrest Public School (1969). St Michael's Catholic School (1967), 410. Holy Family Catholic French Immersion (1996). Originally St. Mary's High School (1981), 192. St Patrick's Catholic School (unknown), 249. École élémentaire Sainte-Marguerite-Bourgeoys (2011, current Bristol St. location). Originally located at 345 Huron St. The Gordon Pittock Conservation area at the Northeastern Edge of the city. Woodstock has several parks and gardens. Most notable is Southside Park, which has a playground, baseball diamonds, public washrooms, soccer fields, gardens, and a new Skatepark. It also has a large pond, and many walking trails. Tip O'Neill Field at Southside Park is home for the Woodstock Rangers OBA Junior baseball team. At the North End of the city is Roth Park and the Gordon Pittock Conservation Area, which stretch along the shores Gordon Pittock Reservoir, an artificial lake created by the construction of the Pittock Dam. This park contains a playground and several kilometers of walking, running, and biking trails. The Woodstock Dragon Boat Club also uses the Gordon Pittock Reservoir as their home. They are a growing dragon boat community consisting of both adult and junior teams. Woodstock has two ice rinks, two at the Community Complex at the south end of the city, and one at the fairgrounds in the central region. Southwood Arena at the Community Complex is home for the Woodstock Navy-Vets OHA Junior hockey team. Woodstock also has a roller derby team called the Woodstock Warriors. Woodstock roller derby was founded in 2011. The Woodstock Soccer Club has built an indoor and outdoor soccer park in the northwestern corner of the city, at the former site of the Oxford Regional Centre. The city has two indoor swimming pools, Southside Aquatic Centre, and the YMCA. With one outdoor pool, the Lions Pool. The city's fine Craigowan (Oxford) Golf Club, a private facility, dates from 1909, on a different site from that used by the current course. It has hosted provincial championships, and in 2014 staged the Canadian Women's Amateur Championship. Oxford Road 59 N. 28.5 ha (70.5 acres) of naturalized area outside of city limits. Part of the Upper Thame River Conservation Authority. Huron St. 10 ha (25 acres) for passive recreations and fishing. Part of the Upper Thames River Conversation Authority. Pavey St. 3 ha (8 acres) of parkland. Butler St. This park, with an area of 4.5 ha (11 acres), was named after the former operators of a wood and coal business and later an ice factory. It is located on the former site of McIntosh Mill Pond. 725138 Pittock Park Rd. Passive recreation and fishing. Hunting is restricted. Part of the Upper Thames River Conservation Authority. Construction was started on the dam in 1964 and officially completed in 1967. The cost of the dam and land base at that time was close to $6 million. Present annual maintenance costs are about $40,000. The Pittock Dam is designed for both flood control and flow augmentation purposes. It is designed to benefit water quality downstream during dry summer conditions and provide year-round flood control capability to protect downstream communities. The Woodstock Airport is located 2.5 nautical miles (4.6 km) west of Woodstock. In June 2005, Toyota announced plans to build a new, $CAD1.1 billion automobile assembly plant in Woodstock on a 1,000-acre (4 km2) undeveloped site in the city's northeast end. The plant was expected to employ 2000 people and begin full production of the Toyota RAV4 SUV in November 2008, at the rate of 150,000 a year. However, because of slowing car sales and bleeding market share to South Korean marques, Toyota cut production by 50% to 75,000 a year and reduced the work force 40% to 1200 people. The other 800 workers are expected to be recalled when (if ever) car sales increase. It was the first new auto assembly plant to be built in Canada in two decades. In January 2010 the second shift was added and production increased to 150,000 units per year. In 2012 they began production of the all electric RAV4 EV in conjunction with Tesla motors. In 2013, the combined production of the RAV4 and RAV4 EV will increase to 200,000 units per year and an additional 400 workers well be added. This will bring the total work force at the Woodstock facility to 2400. Early in March 2006, Hino Motors, a Toyota Motor Co. subsidiary, announced that it will be the first Japanese truck manufacturer to build its vehicles in Canada with a new Woodstock plant slated to begin production in April 2006, in the former General Seating plant in the Pattullo Ridge Business Park near Highway 401 and Highway 59. The $3 million, 11,000-square-metre (120,000 sq ft) plant will employ 45 and assemble 2,000 trucks a year when it begins production. In late November 2008 the Hino Motors automotive plant was completed. General Motors National Parts Distribution Warehouse, the largest of its kind in Canada. Vuteq Canada, an automotive supply company to General Motors and Toyota and employs 450. Toyota Boshoku, an automotive supply company to Toyota. Tigercat Industries, a forestry and logging equipment manufacturer. RWF Bron, a heavy equipment manufacturer. Woodstock Precision Machining, a precision machine part supplier . Kelsey Hayes, an automotive supply company for Ford. Harvan Manufacturing Ltd, Manufacturer of gears, shafts, valve components, torsion bars, stabilizer bars, suspension control arms and drive components. Woodstock Transit provides bus service on weekdays and Saturdays. For intercity travel Via Rail operates a train station in the city, offering Quebec City-Windsor corridor service to Toronto, Windsor, and points in between. Highway 401 runs along the southern edge of the city, and its western junction with Highway 403 is located in the extreme south-east. Woodstock is centred on the intersection of the former Highway 59 and Highway 2, now Oxford Road 59 and Oxford Road 2. The nearest airport with scheduled flights is London International Airport, 40 km to the west. The nearest major airport is Toronto Pearson International Airport, 128 km to the east. Woodstock has one daily newspaper owned by Postmedia Network, the Woodstock Sentinel-Review. Woodstock is also served by media from nearby London, Ontario. Art Williams. Bits & Pieces: A Montage of Woodstock, Ontario in Text and Pictures. Erin, Ontario: Boston Mills, 1967, 1990. Doug Symons. The Village that Straddled a Swamp. 1997. ^ "City of Woodstock: Local History". woodstock.on.ca. Retrieved 6 April 2018. ^ "Population and dwelling counts, for Canada, provinces and territories, and census subdivisions (municipalities), 2011 and 2006 censuses". 2016 Census data. Statistics Canada. Retrieved March 18, 2017. ^ Natural Resources Canada - Toporama - varies within city from 280m to 314m. ^ Local History. City.woodstock.on.ca. Retrieved on 2013-07-24. ^ Woodstock District Community Complex. City.woodstock.on.ca. Retrieved on 2013-07-24. ^ Smith, Wm. H. (1846). SMITH'S CANADIAN GAZETTEER - STATISTICAL AND GENERAL INFORMATION RESPECTING ALL PARTS OF THE UPPER PROVINCE, OR CANADA WEST:. Toronto: H. & W. ROWSELL. p. 223. ^ "CBC Archives". cbc.ca. Retrieved 6 April 2018. ^ "Woodstock". Canadian Climate Normals 1981–2010. Environment Canada. Retrieved April 12, 2014. ^ "2016 Community Profiles". 2016 Canadian Census. Statistics Canada. February 21, 2017. Retrieved 2017-03-18. ^ "2011 Community Profiles". 2011 Canadian Census. Statistics Canada. July 5, 2013. Retrieved 2017-03-18. ^ "2006 Community Profiles". 2006 Canadian Census. Statistics Canada. March 30, 2011. Retrieved 2011-02-09. ^ "2001 Community Profiles". 2001 Canadian Census. Statistics Canada. February 17, 2012. ^ "Government of Ontario Statutes". Government of Ontario. ^ Maier, Hanna (October 9, 2007). "Chapter 2". Long-Life Concrete Pavements in Europe and Canada. Federal Highway Administration. Retrieved May 1, 2010. The key high-volume highways in Ontario are the 400-series highways in the southern part of the province. The most important of these is the 401, the busiest highway in North America, with average annual daily traffic (AADT) of more than 425,000 vehicles in 2004 and daily traffic sometimes exceeding 500,000 vehicles. ^ "Sister Cities". www.cityofwoodstock.ca. Retrieved 6 April 2018. ^ Urquhart, Bruce (7 March 2006). "Hino coming to Woodstock". Woodstock Sentinel-Review. Retrieved 2007-12-30. ^ Woodstock Transit Information. City.woodstock.on.ca (2008-07-01). Retrieved on 2013-07-24. ^ "Find a station". VIA Rail. 27 April 2016. Retrieved 6 April 2018. ^ Find us. City of Woodstock. Retrieved 2011-06-08. ^ "How Elizabeth Wettlaufer became one of Canada's worst serial killers". CBC News. Wikimedia Commons has media related to Woodstock, Ontario. Information Oxford Business directory, Events, Social Services etc. "Woodstock, Can." . The New Student's Reference Work . 1914.